On Saturday, 14th March, an eagle was fitted with a camera . 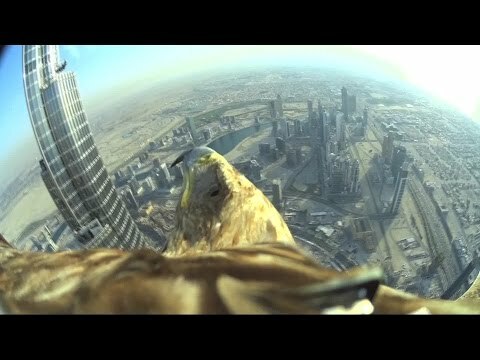 . . And "Eaglecam"
And took flight from the world's tallest building, Burj Khalifa, in Dubai. Here is the film. What surprises me is how smooth the flight is with no camera shake whatsoever. Knowing the camera was there I am sure he took the scenic route. Here is the film. Enjoy. Actualmente hay 0 usuarios y 13 guests en línea.